Baptist, dyke, fag, Gay, homo, KJV, lesbian, Preaching, sodomite. permalink. Is the Unitarian Church more Sodomite infested than the United Church of Christ? He seemed a bit nervous, I reckon anyone would be in the pulpit. 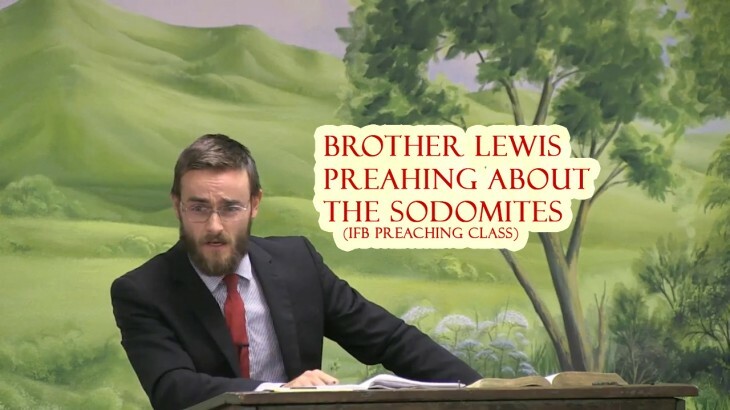 He did a fine job, nonetheless, and I am glad Brother Lewis explained through Romans 1 that sodomites are worthy of death not only because of the filthy abominations they partake in, but also because they DO know God exists, they just truly hate Him. Their perverted acts of debauchery are how they spit in God’s face. They truly are fools, because God will NOT be mocked, and His judgment & Wrath will be upon them.